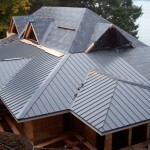 Roofing contractors and companies in Seattle and Bellevue, WA number in the hundreds. Why choose John Michael Roofing? The best roofing reviews in Seattle give the answer. See what our customers and their families are saying about us on Yelp and Google, and then continue reading below to find out what else makes us different from the competition! Metal and Flat (or low pitch) roofing is what we do every single day in Seattle! PVC, TPO, and standing seam metal are all part of our company repertoire. Thousands of successful projects have honed the highly specific skills necessary to perform these complicated project types. John, as the owner, supervises all projects personally. Large roofing companies just cannot match this high level of quality control. “I provide direct communication to you as the homeowner from the very beginning, to the very end of every project. Also, I hold myself personally responsible for your satisfaction with every detail of our work. That’s my promise! Call me today to get all your roofing questions answered.” – John Michael, Owner. 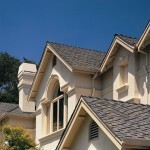 A new roof may be one of the biggest investments that you make in your home. Hence, a warranty that you can count on for years to come is imperative. 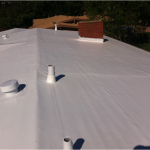 A Lifetime Leakproof Guarantee is provided for every roof we install. In addition, this warranty is transferrable within 10 years. Many of our Seattle roofing installers have been with us for years. These incredibly hard working folks are like part of the family. Because of this they take great pride in installing beautiful, high quality roofs to protect your family. The manufactures of our premium materials have trained and certified our installers. Therefore, our customers can be sure that all workmanship is performed to the most current installation practices and specifications. Installing the best metal and flat roofs in Seattle, Bellevue, Ballard, Madrona, Leschi, Capital Hill Shoreline, Renton, Kent, Burien, Redmond, Kirkland, Mount Lake Terrace, Lake Forest Park, Factoria, Newcastle, and more.